Comprehensible changelog of the linux kernel. This page shows a summary of the important changes being added in each linux kernel release - support for new devices, new features (filesystems, subsystems), important internal changes, etc. While this text is aimed to be (unlike the full changelog) readable, it's obvious that some parts will not be comprehensible for those who don't know a lot about kernel internals, just like it happens in every software project. Other places to get news about the linux kernel are LWN kernel status, LWN driver porting guide, LWN list of API changes in 2.6, or www.lkml.org. If you're going to add something here look first at LinuxChangesRules! 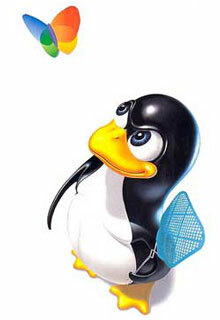 See Linux26Changes for other versions. Support for the multicore Niagara series of CPUs from Sun. Updates for JFS, ALSA, NFS, V4L/DVB (many new devices added), and many bugfixes and minor updates. Generic RTC subsystem: This allows users to plug one or more RTCs to the system code). This removes a number of drivers under drivers/i2c which are implemented in this new subsystem (commit).